The IAS (Indian Administrative Service) promises a very competitive and challenging career. To get into the IAS, you will have to pass the UPSC Civil Services Examination and this demands hard work, dedication and a keen interest in current affairs. The examination is very rigorous and requires thorough knowledge of two subjects and general knowledge about the economy, politics and other subjects. The examination is a three-stage process. For more details about the subjects, age limits and number of attempts see their website www.upsc.gov.in or http://www.civilserviceindia.com/subject/. 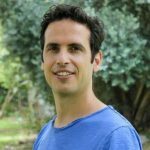 An MBA from a reputable institution has good scope. However, this depends on the ranking of the institution and the discipline of specialisation. 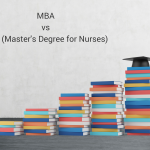 If you are interested in management and administration you will probably choose to pursue an MBA. 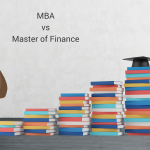 An MBA deals with the business side of professions, different aspects of business strategy, making management decisions, understanding project viability, finance and cost involved, marketing strategy, market conditions, etc. Both IAS and MBA serve a different purpose in society. IAS offers careers in the government sector and the MBA is most relevant for private organizations. Deciding on which one to go for should come from you on the basis of your interest, capability, knowing your strengths and career aims. 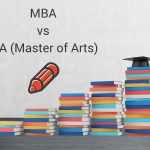 The comparison between IAS and MBA has been comprehensively explained without coercing or favouring any particular. The idea basically is to give clarity to the youth those of who are confused about how they should approach their career and if any of two can prove to be viable. IAS is a government governed job where MBA is more to do with the private sector. So it overall depends on what the individual wants.